THE North/South Inter-Parliamentary Association which comprises of representatives from all the main political parties of the Northern Ireland Assembly and Houses of the Oireachtas, concluded its inaugural Plenary in the Seanad Chamber in Leinster House (Friday 12 October). The establishment of a North/South parliamentary forum was envisaged by the Belfast (Good Friday) Agreement and the St Andrew’s Agreement. The inaugural meeting was jointly chaired by the Ceann Comhairle, Mr Seán Barrett, T.D. and the Speaker of the Northern Ireland Assembly, Mr William Hay, MLA. The first Inter-Parliamentary meeting was held in Leinster House in Dublin. The theme of the morning session was “Child Protection” and the Association heard from two guest speakers, Dr Geoffrey Shannon, the Irish Government’s Special Rapporteur for Child Protection and Mr Ian Elliot, Chief Executive Officer of the National Board for Safeguarding Children in the Catholic Church. The Association noted the importance of this issue to both jurisdictions and the work that had been done on a cross-border basis through the North/South Ministerial Council and supported continued North/South co-operation in this area to help ensure that children and families in need have greater accessibility to timely and quality child protection services. The theme of the afternoon session was the Ulster Canal. 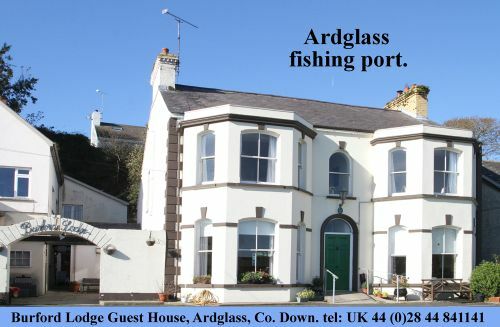 The first guest speaker was Mr Brian Cassells, OBE, past President of Inland Waterways Association of Ireland. The second guest speaker, the Chief Executive Officer of Waterways Ireland, Mr John Martin outlined progress to date on plans to restore the Ulster Canal. The members of the Association welcomed efforts to restore this historic waterway and expressed the hope that work would commence shortly on the restoration. The potential economic benefits of the proposed restoration were noted. The Joint Chairs both noted that today’s inaugural session marked a significant moment in the history of the two parliamentary institutions. 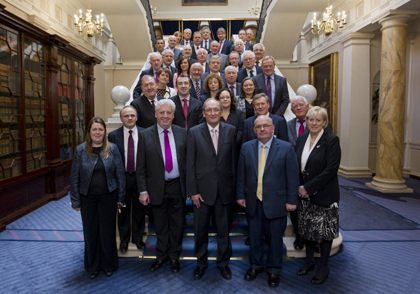 It was agreed that the second Plenary of the Association would take place in Stormont on 26 April 2013.